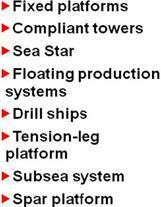 There are many types of drilling platforms used across the world. 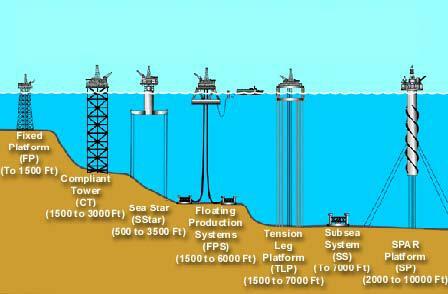 Figure 1 is an example of the different types of platforms that are used for oil or gas extraction. 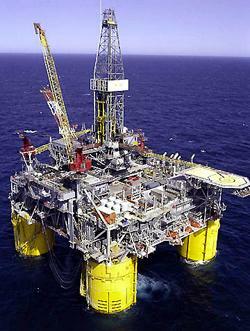 A typical oil production platform is self-sufficient in its energy and water needs, housing electrical generation, water declinators and all of the equipment necessary to process oil and gas such that it can be either delivered directly onshore by pipeline or to a floating storage unit and/or tanker loading facility. Extraction of volatile substances under extreme pressure in a hostile environment means risk. Thus, accidents and tragedies occasionally occur. 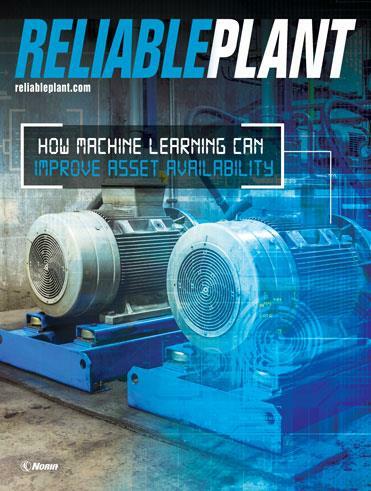 Condition monitoring can detect machine failures ahead of time and thereby prevent machine failures that could result in extensive damage. 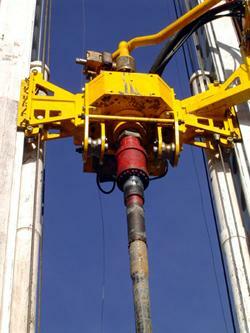 If the drilling machine becomes inoperable, the platform can no longer complete its essential task of drilling. The drilling machines can be difficult to monitor for vibration, as the machine is variable speed, low rpm and variable loaded. 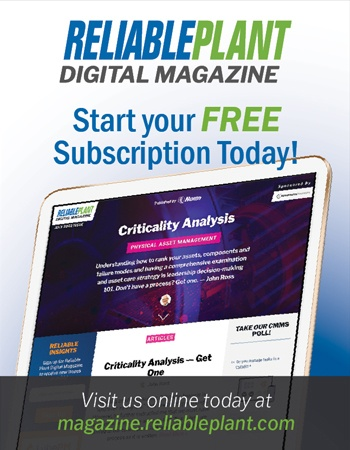 When analyzing data on a drilling machine, many transient events occur during its operation. A Vibxpertvibration data collector by Ludeca was used to collect data on a DDM 750 AC 1M drilling machine at the workshop to check for factory acceptance. The Vibxpert allows for high-resolution time signal and spectrum measurements to be collected. 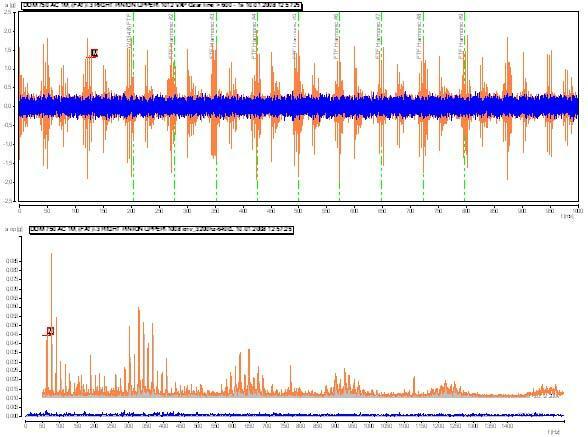 The Vibxpert can collect more than 100,000 lines of resolution, which allows for the Vibxpert to capture any transient events that might occur. The vibration data was collected while there was no load on the machine. The main shaft speed was 216 rpm, and the motor itself was turning 1762 rpm. 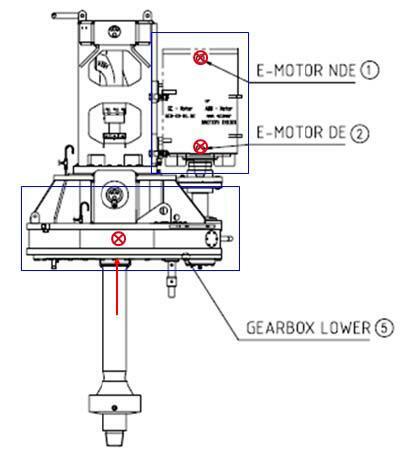 The red “X”s in Figure 4 indicate where vibration data was collected on the DDM 750 AC 1M. 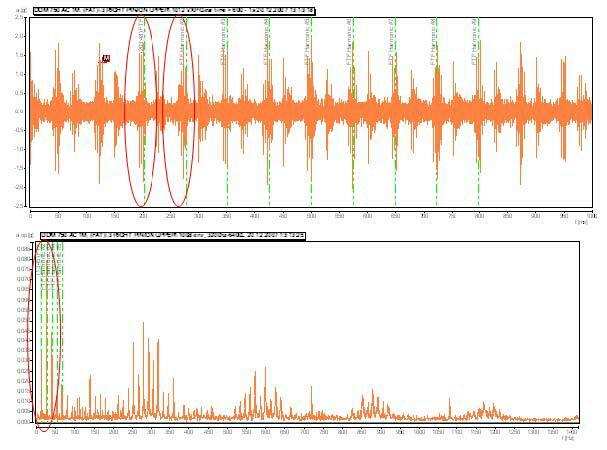 After the vibration data was collected, the data was transferred back into the Omnitrendsoftware for analyzing. Vibration analysis on the machine during the Factory Acceptance Test (FAT) detected impacts from the cage (train) in the pinion upper bearing. The defect is shown on both the time waveform and the envelope FFT as depicted in Figure 5. Due to the vibration defect patterns, the factory decided to replace the bearings before the DDM 750 AC 1M was shipped to the customer. 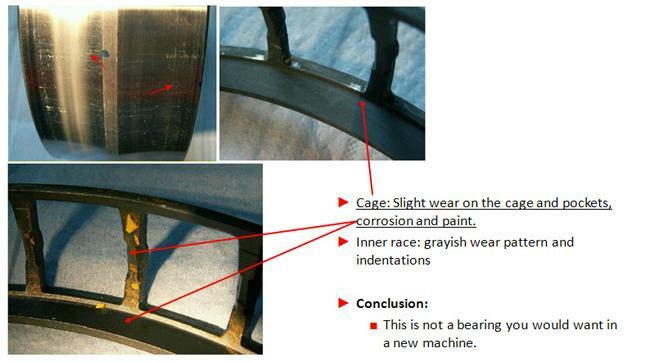 Once the new bearings were installed, additional vibration data was collected. The blue data is the latest vibration data collected. The bearing issue has been corrected by replacing the defective bearing. Many defects were noted on the bearing once it was removed from the DDM 750 AC 1M. Wear was detected on the cage and pockets, and the inner race showed a grayish wear pattern with indentations. Conclusion: This is not a bearing you would want in a new machine.